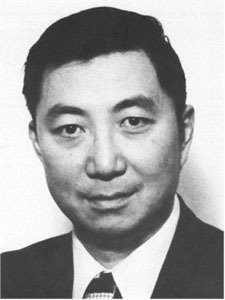 Working at Brookhaven National Laboratory in 1974, American physicist Samuel C. C. Ting discovered a subatomic particle which had a lifetime almost a thousand times longer than scientists would have predicted from its mass. The same discovery was made almost simultaneously by Burton Richter at Stanford — Ting called it the J particle, Richter called it the psi-particle, and it is now known as the J/psi meson. This finding launched the study of a fourth type of subatomic particle, the existence of which had been suspected but never before proven. Ting and Richter shared the 1976 Nobel Prize for Physics. More recently, Ting has sought the elusive Higgs boson, and worked on the Alpha Magnetic Spectrometer, an antimatter detector.